Naomi Grace Scott is a British actress, singer, and musician. The actress received her first significant role of Megan in the comedy series under the title Life Bites. But the girl has become popular after the release of the series Lemonade Mouth. At present Naomi’s career has begun to take off. 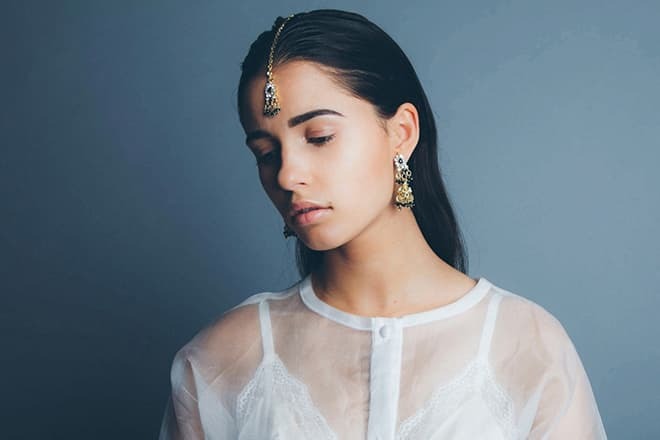 In 2017 there appeared the information that Naomi Scott will perform the role of Princess Jasmine in the screen adaptation of the fairy tale about Aladdin. Naomi Scott was born on the 6th of May, 1993 in London. Her father Christopher Scott, a native British, was working as a senior pastor in the church in the town of Woodford. Her mother Usha Scott was a Uganda-born Gujarati Indian. Since early childhood, the girl began to have fancy for music. Scott began his musical career in the Bridge Church in which his father was working. She took part in the performances and participated in the performances at the music school. In a short time, the British pop singer Kéllé Bryan from the Eternal band noticed the young talented vocalist. She offered to Naomi to conclude the contract. Naomi started cooperating with the British songwriters and producers of Xenomania project. The girl received her secondary education at Christian Davenant Foundation School. In 2006 the directors invited Naomi Scott to perform a small role in the detective series under the title Lewis. After that, she took part in the family comedy series Life Bites. The role of Megan brought Naomi her first fame. Naomi received her remarkable role of Mohini "Mo" Banjaree in the series Lemonade Mouth. The picture was shot in 2010 under the direction of Disney. It’s the youth musical movie in which the leading characters are teenagers who were punished and had to stay for some time after the lessons. But soon they understood that they could become the musical band. In this picture, Naomi Scott has managed to demonstrate her vocal talents. In 2010 the young actress received the offer from Steven Spielberg. He invited the actress to perform the role of Maddy Shannon in the series under the title Terra Nova. It is a science-fiction TV series in which the humanity appears on the verge of the ecological disaster. But the people have managed to find the portal to the past. It means that they have a chance to correct mistakes and to change history. The premiere of the series took place in September 2011 on the Fox channel. Unfortunately, the series hasn’t been prolonged for the second season. The series Terra Nova turned out to be too expensive and time-consuming project. In 2013 the actress got the role in the picture. The 33, which was shot on the events which took place in Chile in the mine. Thirty-three miners were trapped underground for two months. In 2015 Naomi took part in the movie The Martian directed by Ridley Scott. The role of Kimberly Hart in the full-length movie Power Rangers has become one of the latest and most significant parts. The actress has performed the role of the Pink Ranger. The picture was premiered on the 22nd of March, 2017. In 2016 there appeared the information that Walt Disney company was planning to shoot the animated movie Aladdin. Guy Ritchie will direct the film. The new movie Aladdin is stated to be a musical picture. In the summer of 2017, there was announced the cast of the movie. Naomi Scott will perform one of the primary roles – Princess Jasmine. As it’s not the first role of the actress in the musical movie of Disney production, the directors approved her candidacy at once. The young and little-known actor Mena Massoud has received the role of Aladdin, and Will Smith appeared in the image of Genie. Marwan Kenzari who is famous due to his role in the movie Murder on the Orient Express will transform into the villain Jafar. The movie will be premiered in May 2019. In 2016 the actress successfully passed the audition for the "workmate" of young Han Solo. Tessa Thompson who took part in the picture Creed and Zoe Kravitz famous due to her roles in the movies Mad Max and series Big Little Lies became Naomi's competitors for this role. But in the summer of 2017, the star of Games of Thrones Emilia Clarke was chosen for the role of Kira. In the spring of 2017, the director of the movie Avengers Joss Whedon announced his plans to shoot the film Batgirl. And in the summer the Screen Rant portal published the list of the possible actresses for the significant role. Among the pretenders there also was Naomi Scott. Except for her, Emma Roberts, Olivia Cooke, Katherine Langford, and other actresses were included into the list of the candidacies for the role of Barbara Gordon. Naomi Scott got married in June of 2014. 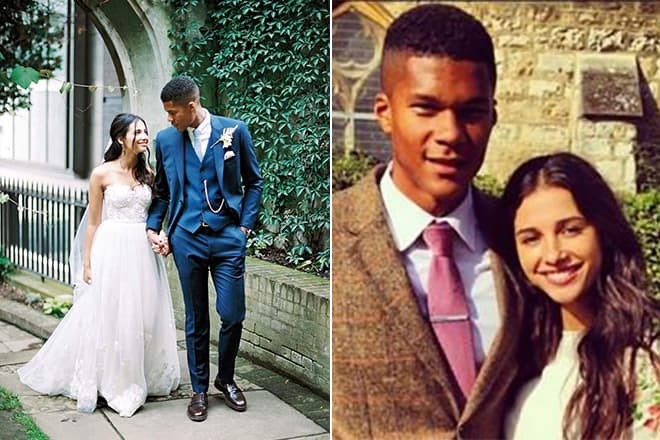 The British football player Jordan Spence has become her beloved man. He is twenty-seven years old; he plays for Ipswich Town football club. Before the marriage, Naomi and Jordan have met each other for four years. The spouses have settled in London. The girl is a quite religious person. She is engaged in the missionary and propaganda activities. Together with her group, she visited Slovakia where she was teaching English for children. When Naomi Scott received the role of Jasmine, she was sharply criticized. The web users consider her to be too "white" for this role. The actions of the movie take place in the country of Agrab. It has always been considered that this fictional state is situated in the Middle East and it mainly has an Arab population. In such a way, the major part of the spectators have been expecting to see the Arab girl, but not the Indian one. The fact that the actress was chosen for the role of the princess caused indignation on the social networks. According to the words of the users, not all the actors with the eastern appearance look similar and are interchangeable. Naomi Scott is an active user of Instagram. She often publishes her photos from the shootings and holidays and shares her videos where she is singing. The girl leads her microblog rather modestly. She has never appeared on her Instagram photos either naked or in a swimsuit or underwear. Her Christian education has affected her behavior. In December of 2017, the girl appeared at the annual ceremony of British Fashion Awards in London. She reported about this event on Twitter and Facebook. In 2017 the girl released two music videos: "Vows" and "Lover's Lies." At present, the girl is engaged in the shooting process of the movie Aladdin.